A mat-forming or trailing evergreen perennial. 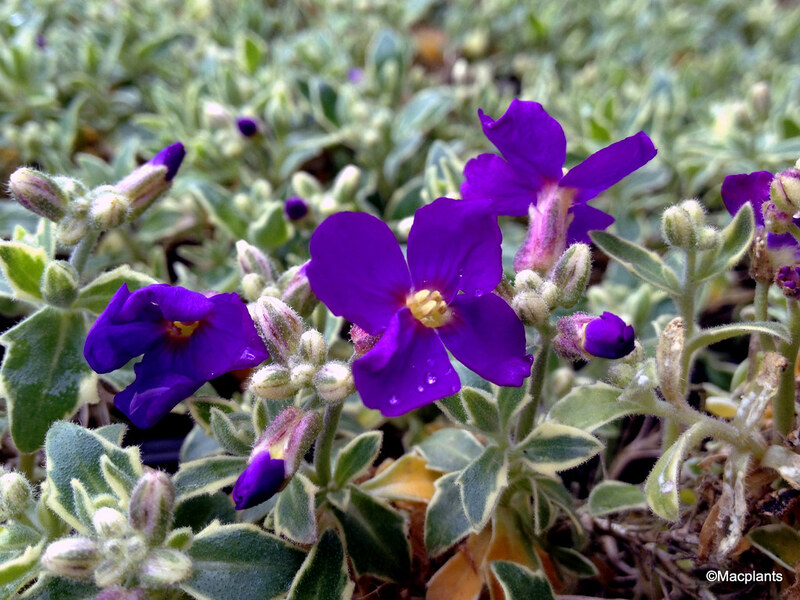 This relatively compact hybrid has lavender-purple flowers in the late spring and variegated foliage that gives interest for the rest of the year. Apr-Jun. H10cm S30cm. It is easy to grow in any free-draining soil in full sun and great for edging paths or growing over walls. Can tolerate partial shade. A useful container plant for spring colour.